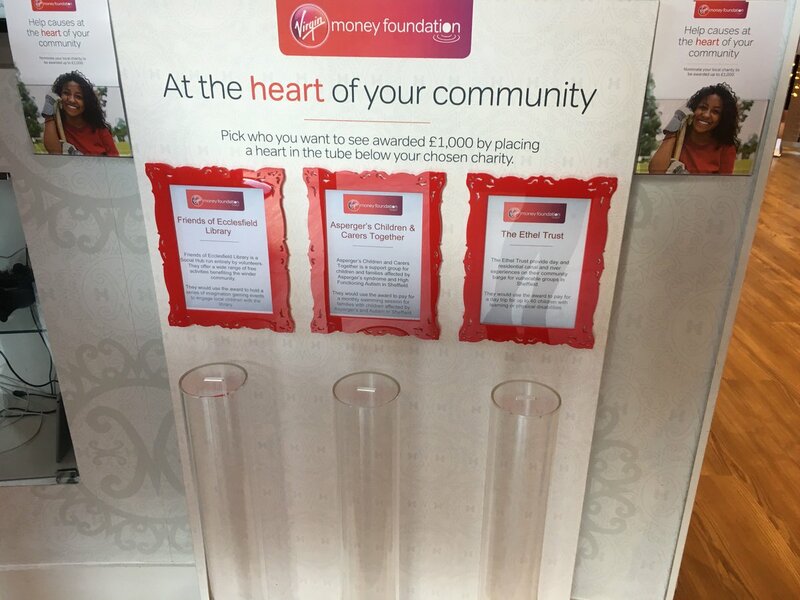 ACCT is one of the three charities in the running for a top prize of £1,000 from the Virgin Money Foundation Heart of the Community Fund. If you visit the Virgin Lounge on Fargate between now and the end of December, please take a red heart token from the bowl on reception and drop it in the tube for Aspergers Children and Carers Together! Thank you to all of you who have voted for ACCT in the Aviva Community Fund. Voting for this one is open until the 20th November, so if you haven’t already, please register on the Aviva website and give your 10 votes to ACCT. Vote For ACCT To Help Win £1000 From The Aviva Community Fund! ACCT is one of the charities in the running for funding from the Aviva Community Fund. In order to get a grant of £1,000 from this Fund, we need your votes! Once you’ve voted, please also pass on the details to your friends, family and colleagues, post on your social media, and send the information wherever else you think of. Thanks for your votes and for your continued support for ACCT! Nicola Hough and Jordanna Farrimond will be giving a presentation on positive behaviour management and will be on hand to offer advice to help you resolve any challenging behaviours your children maybe displaying. Do come along and find out what the ACCT behaviour management tool kit looks like. Build networks with other parents and have a cup of tea! Everyone welcome, new members can sign up on the night.